You're first on the scene. There are victims in the water and time is running out... what can you do?The first person on the scene is not always equipped to execute a safe water rescue. Without the proper equipment and training, the first responder may not be able to execute a safe rescue, greatly reducing the probability of the victim's survival. In an emergency, seconds count. 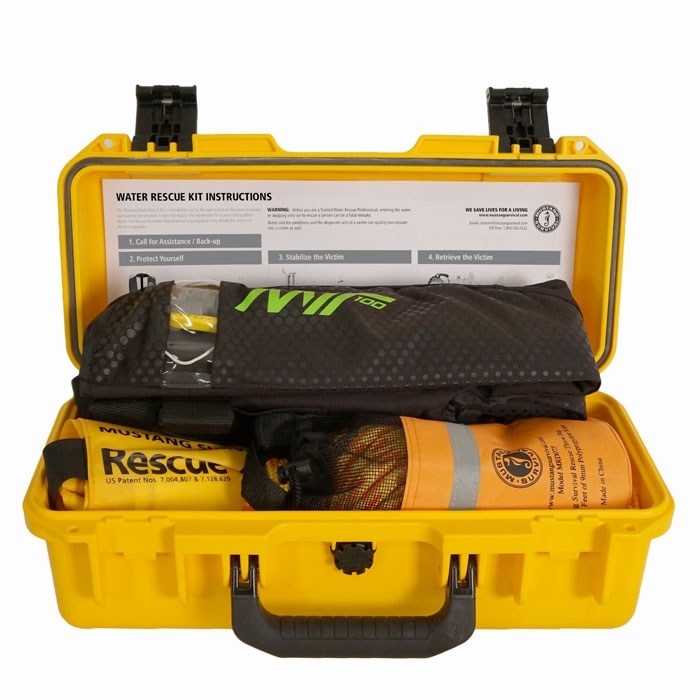 The Mustang Survival Water Rescue Kit contains everything the first responder needs to conduct a basic emergency water rescue: 1 M.I.T. 100 Inflatable PFD, 1 Rescue Stick and 1 Throw Bag all in a heavy duty storage case. Complete with quick reference instruction sheet and desiccant.